A washing machine is a very important part of a properly kept home. It's also an imperative component in one's proper hygiene. As such, a washer should be fixed immediately if it becomes out of commission. A washer repair is usually not too costly; the main cost is any washer parts that need replaced, the repair time is minimal. Get your washer repair in Campbell CA from us today, don't let your laundry stay dirty another day! 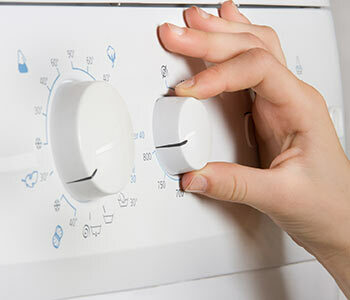 We are pleased to offer our washer repair services to the Campbell CA area at an affordable cost. We understand the importance in keeping repair costs to a minimal, as otherwise, the cost of repair could near the cost of replacement. To further make our services affordable, we keep washer parts pricing to a minimum. We pick up washer parts in Campbell CA from local parts suppliers at a discount from typical retail prices. These savings are passed on to you, of course! Our Campbell CA based appliance repair team operates in an exemplary fashion, performing every repair with the highest level of precision and time efficiency. From the very first call, we work with you to best fit ourselves into your schedule. As our technician arrives at your home, he or she will work happily with you to quickly address the problem and price out a solution. When you hire us for a washer repair in Campbell CA, we discount your washer repair services even more. This is accomplished by dropping the service call charge and not charging for travelling to your home. Our estimates are also derived from the Major Appliance Service National Price Guide, making it as fairly priced as possible. If you need a Campbell washer repair company to help you, don't hesitate to give us a call! Did you ever wonder why clothing manufacturers sometimes recommend their products get washed inside out? It's because doing so will reduce the amount of harshness the details and images on your clothing have to face. This contributes towards an increased life expectancy for your clothing -- it becomes very noticeable when dealing with corduroy clothes. Further, flipping your clothes inside out helps to protect buttons, decals and embroideries from getting pulled off as a result of spinning with many other loose items. Plus, since nothing bad comes from turning the clothes inside out -- why not make the effort?